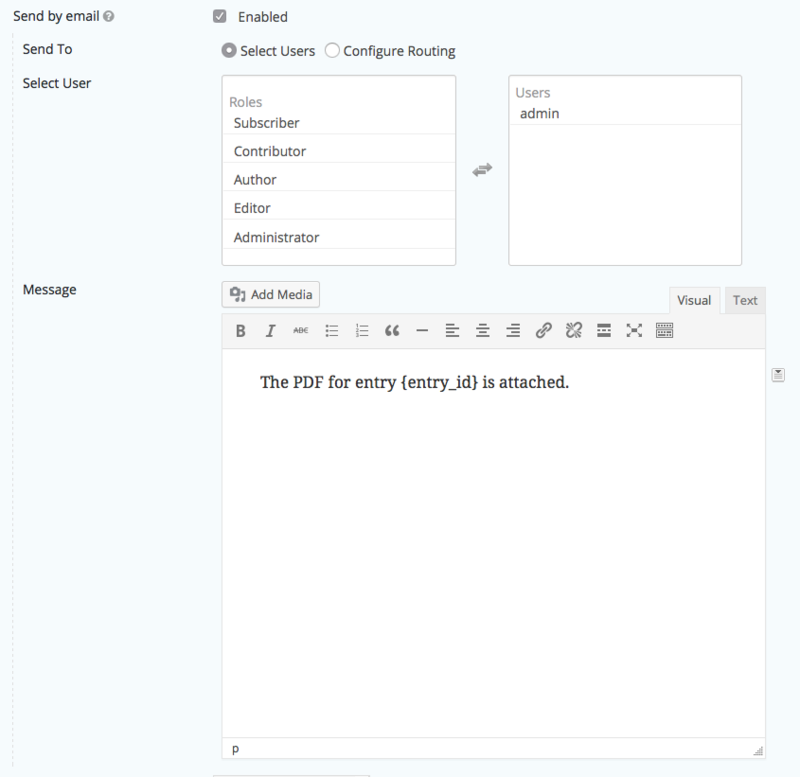 It's intended to provide a quick way to create PDFs from entries without having to edit any configuration files. The result is simple, effective and is designed to work as an integral part of Gravity Flow. 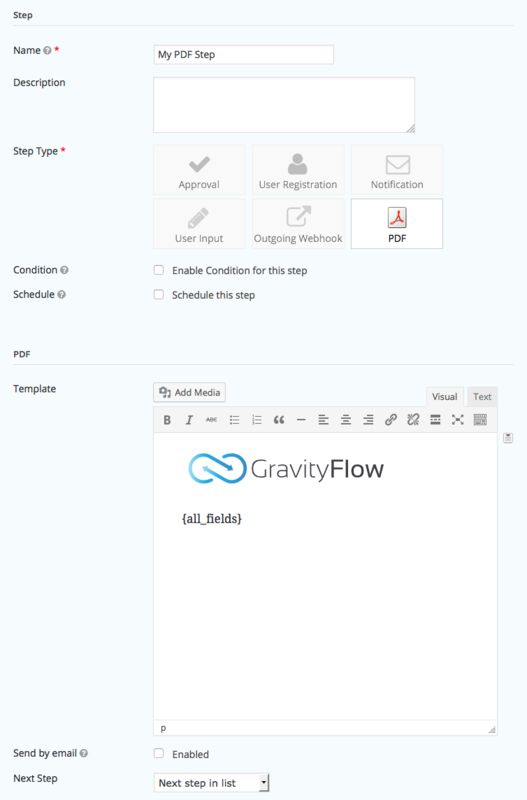 However, it's not intended to replace the advanced, full-featured Gravity PDF plugin which Gravity Flow also supports. First, design the template. All Gravity Forms merge tags are supported. Enable the the 'send by email' setting to send the PDF to the selected users. Selecting the role will send the email to all the users in the role. All Gravity Forms merge tags are supported. When 'Send by email' is enabled the PDF will not be available on the server to download - it will only be sent as an attachment by email. Tip: use the <pagebreak /> tag to add page breaks to your PDF.